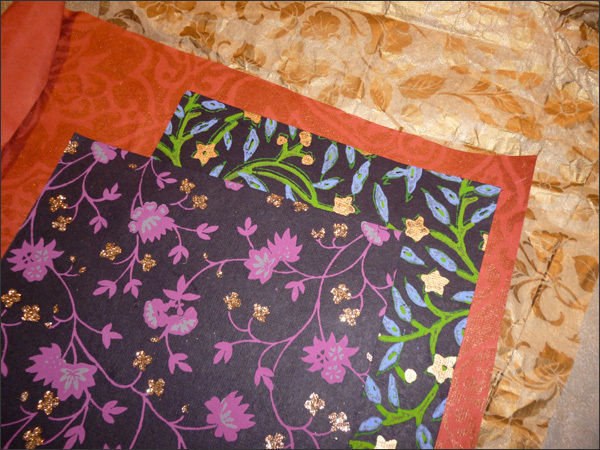 This weekend is another Sunday Crafternoon at the North Vancouver City Library. I can't wait! I've been prepping this past while... A friend trimmed wine corks and cut wood rounds for me. 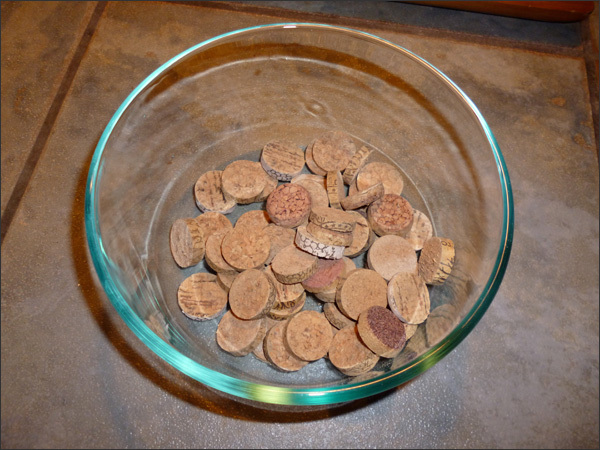 Check out all the cork rounds. Loads of wine cork pendants will be created. Yay! 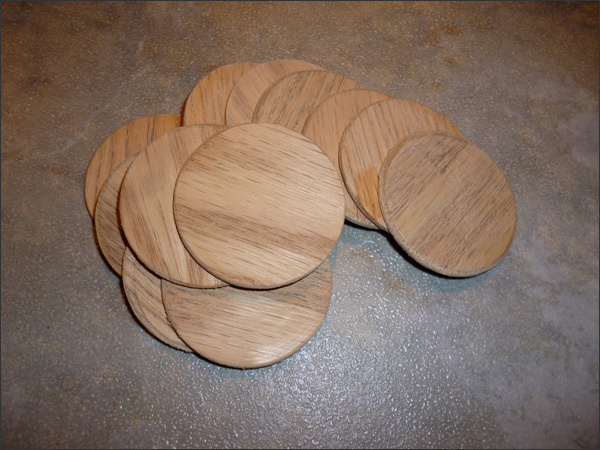 And more wood rounds are good to go! 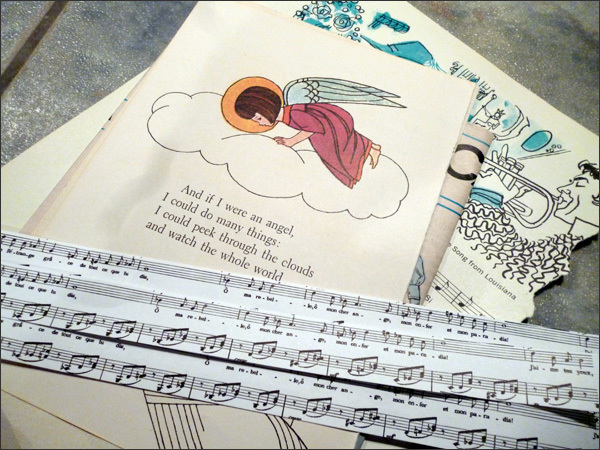 I've been collecting materials for the workshop - scrap paper, glue, jewelry making supplies (jump rings, jewelry pins, earring stems), etc. And in my adventures I found out about Urban Source on Main Street. Holy smokes! What a great place! 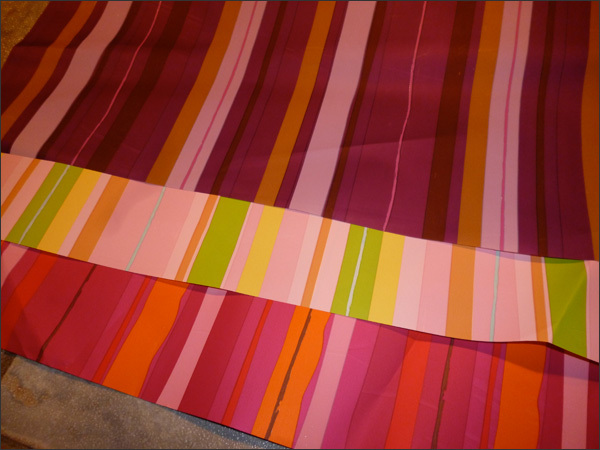 Urban Source sells alternative art materials. They collect from over 100 different local industries, diverting safe, useable off-cuts, discards, misprints and over-stock from the land fill. Love how Urban Sources gives you a bag to fill up for a minimal amount of money so you can buy discarded stuff then turn into funky projects. First off I filled a goodie bag full of potentially kewl items for jewelry making... Got these stamps. 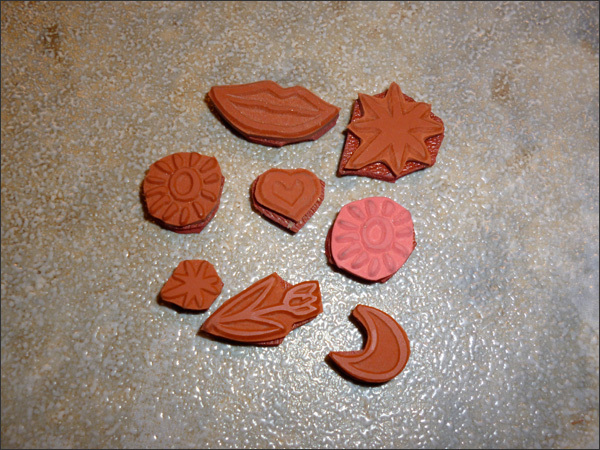 These could either be used for stamping gift bags or pendants. 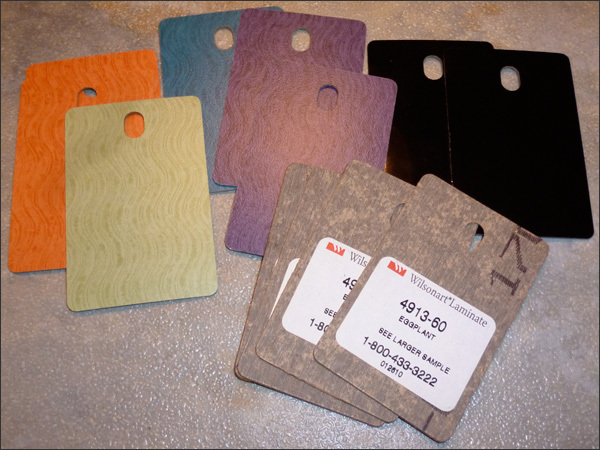 These laminate samples may work as pendants. 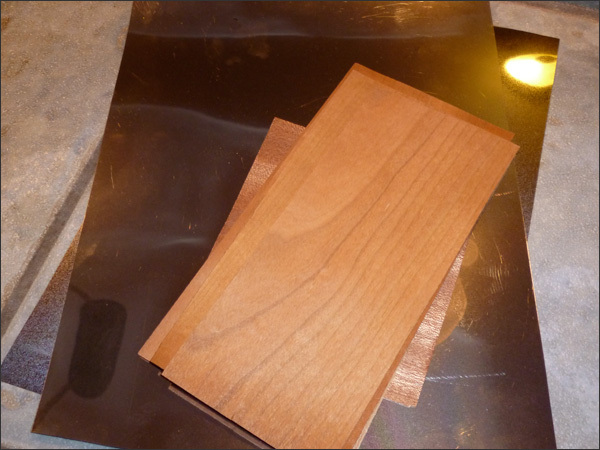 The top metal pieces could be glued to the wood rounds. 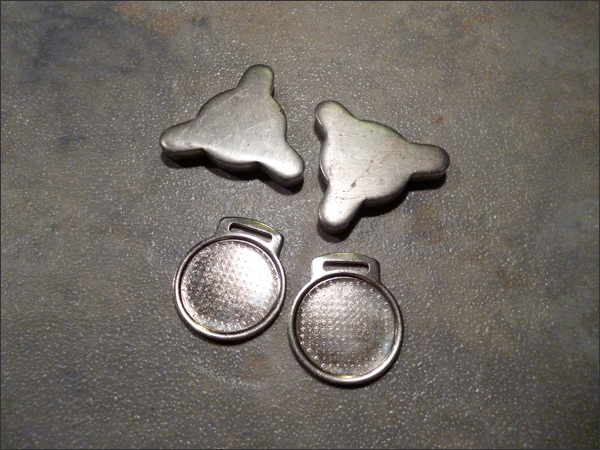 And then the below metal pieces could be pendants that you decoupage scrap paper to. I think I have everything we're gonna need! Saturday I'll be finishing up my jewelry projects to present to everyone. See you Sunday! Loads of TBD goodness is a happenin'!